The market looks nervous and has entered volatile zone, mainly due to a more than expected correction in small cap and midcap indices. Midcaps and small cap stocks are fast losing favour among investors after touching their all-time highs in late January this year. The indices which saw a marathon rally for nearly five years to reach their all-time highs seem to have run out of their breath in less than five months with some analysts even advising investors to stay away from midcap and small caps this year. While the Sensex and Nifty have fallen just 3.43% and 4.46% respectively from their all time highs of 36,283 and 11,130 reached on January 29, 2018, the BSE small cap and midcap indices are down nearly 19% and 15% from their all time highs of 20,183 and 18,321 reached in January this year. V K Sharma, Head - PCG & Capital Market Strategy at HDFC Securities said, "The main reason behind the fall is the Sebi's guidelines on Mutual Funds Re-categorisation and Rationalisation. The exercise was aimed at investor protection and to simplify the nomenclature for the lay investor. This has resulted in the Mid-caps and Small caps being shunted out of the funds beyond the prescribed limit. Usually, when one MF sells, there is another institution or MF buying that as it is difficult to get a large lot. But this time around, when every MF was flushing them out there were no buyers and the stocks took a larger hit than what the markets would make you believe. We do not foresee these stocks returning to their recent highs, even if the Nifty was to regain its peak. In the near future, we expect them to underperform the broader indices." Midcap firms' stocks typically have market capitalisation between Rs 5,000 crore to Rs 20,000 crore. They are much smaller than large cap firms which enjoy market capitalization of above Rs 20,000 crore. Rahul Agarwal, director at Wealth Discovery said, "The S&P BSE Smallcap index is down almost around 17% and the BSE Midcap index is about 14% down from their January 2018 high while broader index Sensex is down just about 4% from its lifetime high on Jan 2018. The significant fall in small and midcap stocks over the past couple of months can be attributed to many factors, the primary reason appears to be the near euphoria surrounding the space has subsided and concerns about valuations have resurfaced. Even with the current corrections, the BSE Midcap Index is trading at an average PE of 34 whereas the BSE Small Cap index is trading at a PE of 74, this in our opinion is still on the higher and thus there is still some room for correction. Rising crude oil prices, falling rupee, global geo-political uncertainty, strengthening of the US economy, Fed rate hikes, mutual fund reclassifications leading to portfolio readjustment have also lead to the under performance of the Equity markets in general and the Midcap/Smallcap space in particular. For investors who are already invested in the Midcap/Small cap space and are sitting on significant losses at this point our advice would be to exit on speculative bets or stocks which are characteristically more volatile. However, one can stay invested in quality names with strong cash flows, a capable management with a viable business model. It cannot be emphasized more that in turbulent times staying in cash is also a good strategy unless the investment horizon is long term with a five to ten-year window." Technology firm Vakrangee is the top mid-cap loser after falling 92.29% since the beginning of this year. The firm's stock took a hit after auditing major Price Waterhouse quit audit mandate of the firm in late April, flagging concerns to the corporate affairs ministry about the books of accounts, mainly related to its bullion and jewellery business, even as the company denied any irregularities. Earlier in the year, the e-governance service provider according to reports came under Sebi's scanner for alleged price and volume manipulations of its own stock on BSE and NSE. However, Vakrangee on February 3 clarified that rumours of involvement of company in price and volume manipulation were completely baseless and factually incorrect. Similarly, Gitanjali Gems Ltd, is the top loser among BSE small-cap stocks, falling over 89% since the beginning of 2018. The stock crashed over the alleged involvement of Gitanjali owner Mehul Choksi in a $2-billion fraud at state-owned Punjab National Bank. A host of other factors such as overvaluation and lower than expected Q4 earnings of the firms in the midcap and small cap indices has led the market correction this year. VK Vijayakumar, chief investment strategist at Geojit said, "An important trend in the market now is the divergence in the performances of large and medium/small companies. 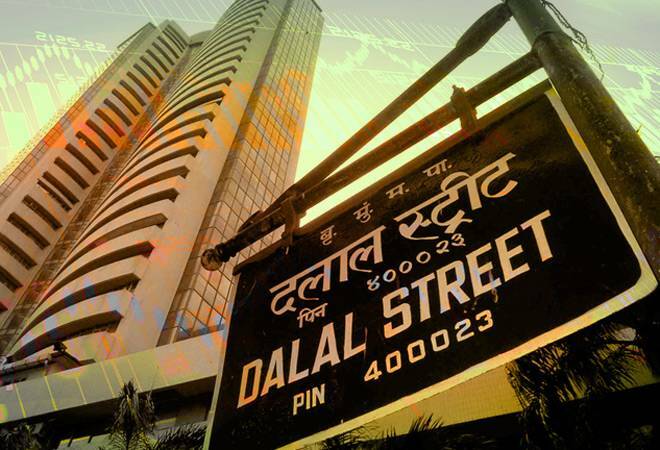 As on June 6, the Nifty is up 0.97 percent year to date while the Nifty Midcap is down 13.51 percent and Nifty Smallcap is down 17.66 percent. Good results of large companies and worse than expected results of many mid and small-caps have contributed to this divergence in performance. Large companies with excess capacity and pricing power are doing very well vis-a-vis medium/small companies without pricing power. Low margins and rising input costs are impacting the profitability of medium/small companies and their market performance. The primary reason for the crash in mid and small-caps is the correction in valuations. Sustained fund flows into mid and small-caps had pushed up their valuations into unjustifiable levels. The re-categorization and restructuring of mutual funds also have led to selling in some segments of mid and small-caps. Also, corporate governance issues and the resignation of auditors in some companies have impacted the sentiments. There is some more pain left in the mid and small-cap segment. But there are many stocks in this segment with good earnings visibility justifying premium valuations. Value buying will emerge in these stocks. That said, even now, the margin of safety is higher in large-caps." According to market analysts, smaller stocks are generally bought by local investors, while overseas investors focus on blue-chips. Mid-cap index tracks companies with a market value that is, on an average, one-fifth of blue-chips or large firms. Small-cap firms are almost a tenth of that. Sachin Shah, fund manager at Emkay Global Financial Service said, "In the last few weeks due to re-alignment of MF portfolios, there has been some selling pressure across many of the mid & small-cap stocks. Also for the last few quarters, the valuations for many of the mid & small-cap stocks was running ahead of time. Investing in mid and small-cap stocks has mainly been a bottoms-up approach, particularly in Indian context. From that perspective, the recent sell-off can actually give decent opportunities for long-term investors (3-5 years plus) in some of the mid and small-cap stocks. Albeit, one needs to be very selective and do a thorough home work on the business outlook, management quality (integrity & capability), inherent profitability (cash flows & ROCE-ROE) and be sure the valuations are reasonable even after the recent price corrections."